The Great Depression was a period of unprecedented decline in economic activity. It is generally agreed to have occurred between 1929 and 1939. Although parts of the economy had begun to recover by 1936, high unemployment persisted until the Second World War. The 1920s witnessed an economic boom in the US (typified by Ford Motor cars, which made a car within the grasp of ordinary workers for the first time). Industrial output expanded very rapidly. Sales were often promoted through buying on credit. However, by early 1929, the steam had gone out of the economy and output was beginning to fall. The stock market had boomed to record levels. Price to earning ratios were above historical averages. 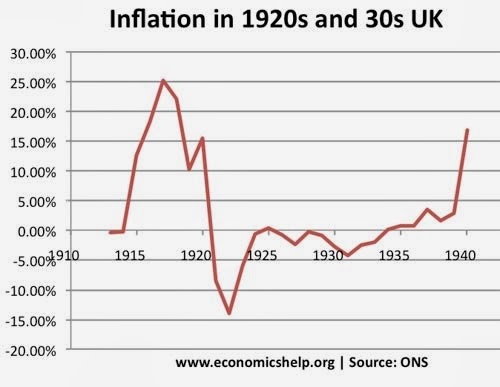 The UK economy had been experiencing deflation and high unemployment for much of the 1920s. This was mainly due to the cost of the first world war and attempting to rejoin the Gold standard at a pre-world war 1 rate. This meant Sterling was overvalued causing lower exports and slower growth. The US tried to help the UK stay in the gold standard. 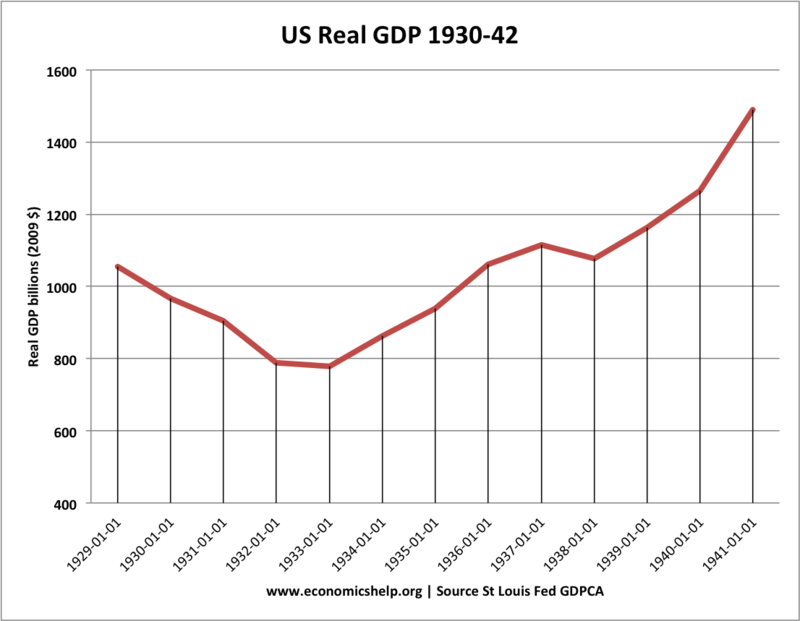 That meant inflating the US economy, which contributed to the credit boom of the 1920s. During September and October, a few firms posted disappointing results causing share prices to fall. On October 28th (Black Monday), the decline in prices turned into a crash has share prices fell 13%. Panic spread throughout the stock exchange as people sought to unload their shares. On Tuesday there was another collapse in prices known as 'Black Tuesday'. Although shares recovered a little in 1930, confidence had evaporated and problems spread to the rest of the financial system. Share prices would fall even more in 1932 as the depression deepened. By 1932, The stock market fell 89% from its September 1929 peak. It was at a level not seen since the nineteenth century. Falling share prices caused a collapse in confidence and consumer wealth. Spending fell and the decline in confidence precipitated a desire for savers to withdraw money from their banks. 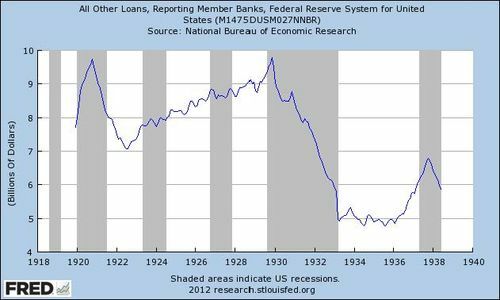 In the first 10 months of 1930 alone, 744 US banks went bankrupt and savers lost their savings. In a desperate bid to raise money, they also tried to call in their loans before people had time to repay them. As banks went bankrupt, it only increased the demand for other savers to withdraw money from banks. Long queues of people wanting to withdraw their savings was a common sight. The authorities appeared unable to stop bank runs and the collapse in confidence in the banking system. Many agree, that it was this failure of the banking system which was the most powerful cause of economic depression. Because of the banking crisis, Banks reduced lending, there was a fall in investment. People lost savings and so reduced consumer spending. The impact on economic confidence was disastrous. Four consecutive years of negative growth 1929-32. US unemployment rose from zero in 1929 to over 25% in 1932 - indicating the severity and seriousness of the decline in economic activity. US price level. 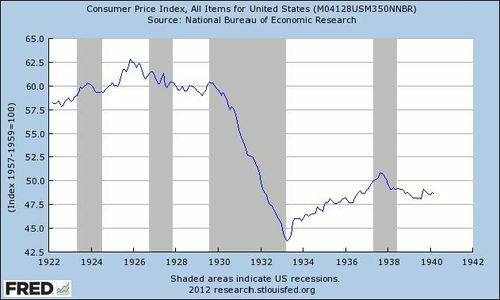 1930-33 was a period of deflation (negative inflation) - fall in the price level. After leaving the Gold Standard in 1932, the UK economy recovered relatively well. With falling output, prices began to fall. Deflation created additional problems. It increased the difficulty of paying off debts taken out during the 1920s. As banks went bankrupt, consumer spending and investment fell dramatically. Output fell, unemployment rose causing a negative multiplier effect. In the 1930s, the unemployment received little relief beyond the soup kitchen. Therefore, the unemployed dramatically reduced their spending. America had lent substantial amounts to Europe and UK, to help rebuild after first world war. Therefore, there was a strong link between the US economy and the rest of the world. The US downturn soon spread to the rest of the world as America called in loans, Europe couldn't afford to pay back. This global recession was exacerbated by imposing new tariffs such as Smoot-Hawley which restricted trade further. Monetarists highlight the importance of a fall in the money supply. They point out that between 1929 and 1932, the Federal Reserve allowed the money supply (Measured by M2) to fall by a third. In particular, Monetarists such as Friedman criticise the decisions of the Fed not to save banks going bankrupt. They say that because the money supply fell so much an ordinary recession turned into a major deflationary depression. The Austrian school of Economists such as Hayek and Ludwig Von Mises place much of the blame on an unsustainable credit boom in the 1920s. In particular, they point to the decision to inflate the US economy to try and help the UK remain on the Gold standard at a rate which was too high. They argue after this unsustainable credit boom a recession became inevitable. The Austrian school doesn't accept the Friedman analysis that falling money supply was the main problem. They argue it was the loss of confidence in the banking system which caused the most damage. Keynes emphasised the importance of a fundamental disequilibrium in real output. He saw the Great Depression as evidence that the classical models of economics were flawed. Classical economics assumed Real Output would automatically return to equilibrium (full employment levels), but the great depression showed this to be not true. 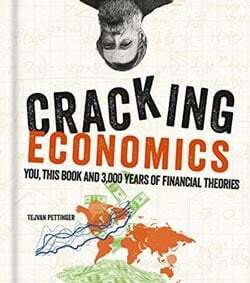 Keynes said the problem was lack of aggregate demand. Keynes argued passionately that governments should intervene in the economy to stimulate demand through public works scheme - higher spending and borrowing. Keynes heavily criticised the UK government's decision to try balance the budget in 1930 through higher taxes and lower benefits. He said this only worsened the situation. Keynes also pointed to the paradox of thrift. The Marxist View saw the Great Depression as heralding the imminent collapse of global capitalism. With unemployment over 25%, Marxists held that this showed the inherent instability and failure of the capitalist model. Furthermore, they pointed to the Soviet Union as a country which was able to overcome the great depression through state-sponsored economic planning. How important was Stock Market Crash of 1929? The stock market crash of October 1929, was certainly a factor which precipitated events. It did cause a decline in wealth and severely affected confidence. However, changes in share prices were a reflection of the underlying boom and bust in the economy. Also, a collapse in share prices might not have caused the great depression if bank failures had been avoided. In October 1987, share prices fell by even more (22%) than black Monday. But, it didn't cause an economic recession. We haven't learned from out past so now we are destined to repeat it. All of the causes of the Great Depression is what we are experiencing it now. Hold on and cause its gonna get worse! Our economy fluctuates and will not always be balanced, and we are currently in a recession. But now we have FDIC and other types of governmnet programs that will prevent run offs on banks like in the Great Depression. Besides the FED uses tools that control the amount of money that flows in our economy. Of course the job of Allen Greenspand is to ensure Consumer Confidence and if consumer freak out, then our economy is just going to worsen because of a decrease in spending. So my advice would be to not freak out and stop spending, just be more cautious of not getting in debt. Marriner S. Eccles, Beckoning Frontiers: Public and Personal Recollections. New York: Alfred A. Knopf, 1951. At the start of the Great Depression, Marriner Eccles hardly seemed someone who might lead a charge against the economic orthodoxies that justified grand hoards of private fortune. By the early 1930s, after all, the Utah-born Eccles had become the top banker in the Mountain West, the organizer of the first multibank holding company in the United States. But Eccles had also come to understand, after watching the great speculative bubbles of the 1920s pop into massive misery, that prosperity — to endure — needs to be shared. Eccles began speaking out on that theme, shortly after the Great Depression began, and soon caught the attention of the early New Dealers. In 1933, Eccles would become an assistant secretary of the treasury. A year later, Franklin Roosevelt would appoint him to the Federal Reserve Board. He would become Board chair in 1935 and remain in that central position for the next 13 years. No one individual, over those years, had more of an impact on economic policy in the United States. Looking back on those years, in his 1951 memoir Beckoning Frontiers, Eccles would do his best to explain the impact he set out to make. Mass production, he noted at the outset, demands mass consumption, but people can’t afford to consume if the wealth an economy generates is concentrating at the top. Sound familiar? The decade of the 1920s that Eccles describes in his 1951 memoir comes across today as eerily familiar. Then as now, the U.S. economy was floating on a sea of debt. In our current dollars, this $50,000 ceiling would equal about $700,000. What did FDR do with the Eccles proposal? He turned around and asked Congress to place a 100 percent tax on all individual income over $25,000. Congress would eventually set the nation’s top tax rate at 94 percent on all income over $200,000, and that top tax rate would hover around 90 percent for the next two decades, years that would see the greatest period of middle class prosperity in U.S. economic history. In 2005, the latest year with statistics available, America’s leading hedge fund managers and the rest of the nation’s top 400 income-earners faced a top tax rate of 35 percent. They actually paid, after loopholes, just 18.2 percent of their incomes in tax. Marriner Eccles would not approve. In the two decades between 1986 and 2005, America’s top 1 percent of taxpayers saw their share of the nation’s income jump from 11.3 to 21.2 percent. Over those same years, the federal income taxes the top 1 percent paid dropped by an equally stunning margin, from 33.13 percent of total personal income in 1986 to 23.13 percent in 2005, the most current year with IRS stats available. Taxpayers needed to report at least $364,657 in 2005 to enter the top 1 percent. As for this not happening again...IT HAS ALREADY STARTED!! I don't care how many government programs there are; things won't get better until confidence is restored. Banks won't lend (even after they received our tax money for that purpose) and consumers won't buy because they don't have the money to spend. You can't have mass production without mass consumption. So I do have hope but I believe it will take a bold move to veer this ship away from the falls. We ae all going into the great depression but this time it will be the same year as the history starts with the black president so i bet alot of people believe it's all because of that but it's not and we all just need to make sure that we dont go into debt. The crash of the stock market in 1929 did not cause the Great Depression. It did cause a lack of consumer confidence and destruction of wealth, which caused consumers to be more cautions about spending. The biggest contributer of the Great Depression was the government meddeling in the economy. This is mentioned in Ben Bernanke's Macroeconomic textbook, where he states "Economists now recognize the cause of the Great Depression was failed government policy. "Yet he seems to forget his own words. In the recession that followed the 1929 stock market crash, we had the 1930 Smoot-Hawley tariff, which raised the average tariff on imports by 70%, sparking a trade war with Europe, crippling international trade and reducing U.S. exports and U.S. GDP. In 1932, Hoover, in an attempt to balance the budget in an election year pushes and congress passes a tax increase (the revenue act of 1932) further depressing consumer demand. Then we had the failure of the FED to recognize the rising real interest rates, as reduced aggregate demand lowered the average price level (deflation) but the increasing number of bank failures caused the money supply to shrink, which raised nominal interest rates. These rising nominal interest rates, coupled with a falling price level resulted in even higher real interest rates. High interest rates slows business investment spending on capital goods and reduces consumer spending on "big ticket" items. By the time many of Roosevelt's programs were deemed unconstitutional by the Supreme Court in 1936 the economy was begining to recover. Unemployment was down to 14% from it's 1933 high of 25%. But then Roosevelt pushes the 1937 tax hike and unemployment shoots back up to 17%! Don't blame the free market for the Great Depression. This brief synopsis reveals that it was indeed failed government policy that caused the Great Depresion. It was (as we now see) a laissez-faire economy at the time. What amazes me is that Bernanke thinks that monetary policy by the FED and fiscal policy by Congress can fix our current problem. You had better store some food, some silver coins, and learn how to grow food. We are going to be in this for a while! * Top tax rate raised to 79 percent. * Economic recovery continues: GNP grows a record 14.1 percent; unemployment falls to 16.9 percent. * Economists attribute economic growth so far to heavy government spending that is somewhat deficit. Roosevelt, however, fears an unbalanced budget and cuts spending for 1937. That summer, the nation plunges into another recession. Despite this, the yearly GNP rises 5.0 percent, and unemployment falls to 14.3 percent. Tax hikes didn't cause the economy to slump back into a recession. It was the cut in spending that led to the plunge. Why hasn't the collective wisdom taught us how we got out of the Great Depression of 1929 in order for the public to understand how to effectively get out of the current Great Recession? 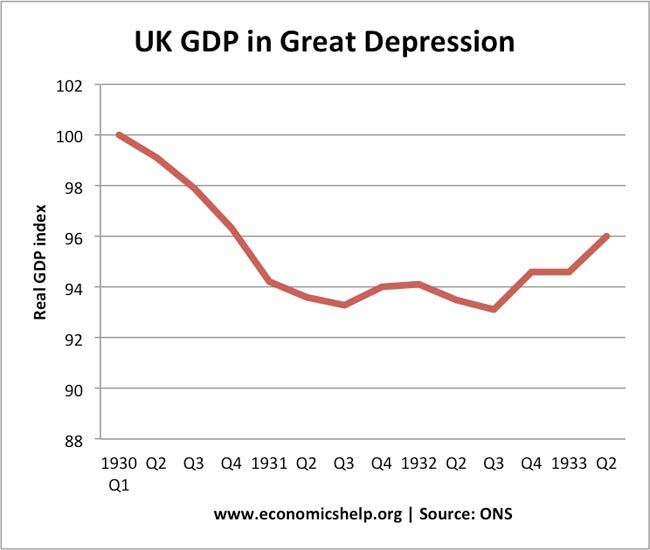 The public can't vote for the right leaders when they can't get a straight answer about the Depression we did get out of and that's causing so many more people to suffer the consequences 80 years later! I thought we were smarter than that! Reading about it on Wikipedia leaves one to think, huh?? There's no doubt that tax cuts yield economic growth. 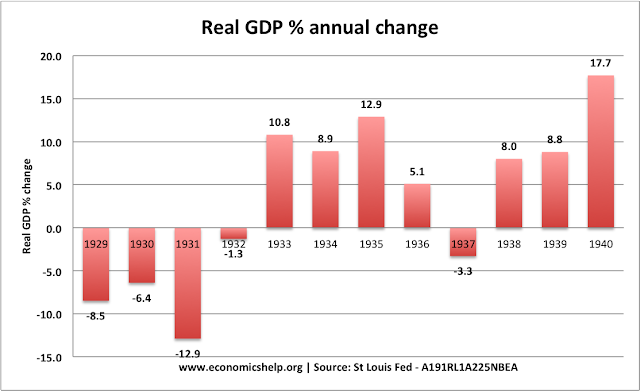 The solution to the 1920-21 depression was drastic cuts in spending, along with huge tax cuts. Federal revenue increased at such a high rate, 1/3 of the debt added under the progressive Woodrow Wilson's Keynesian economic policies, was eliminated. It was this growth that created the new wealth, that would give new people opportunities to invest, or borrow capital. His huge spending increases on public works projects just added to the debt, and led to a need for more revenue. He responded in the exact opposite way he should have. He RAISED taxes in 1932. To make a bad situation even worse, he imposed tariffs. You know it's trouble when the stock exchange starts dropping drastically. Still, it is not solely responsible for our economic woes. Sometimes it's actually the lack of confidence in spending brought about by the crash that causes the meltdown. 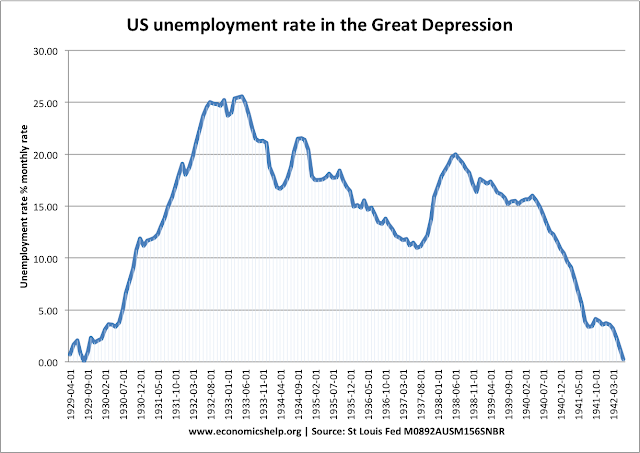 In my own opinion incident such as the great depression is something unavoidable. Time will come that a nation will experience this kind of economic issue and the only thing they can do is, to prepare their company in advance so that if this kind of scenario came up suddenly they could still manage to establish their own company. The sudden slowdown on the economical activity usually defines whether a certain nation is undergoing through a recession. Obviously, those countries which have tiger economies will greatly be affected by this event. The reason for this unfortunate event can be attributed to perhaps the value of spending on the economy. A simple logic can be apply to these occurrence, the higher the prices are in the market the lesser the public will spend and if that happens, economy will be restless and crawling cause the cash-flow isn't is moving slowly. What a bunch of Keynesian crap - what you call "causes" are, in fact, RESULTS of the Great Depression. The real causes for the Great Depression were: Massive contraction in the Money Supply (Fed constricted the supply of money by 33% - This is what CAUSED the huge deflation in prices And the liquidity crisis on Wall Street & the banks. The other great cause was the inelasticity in the prices for labor, so as business revenues declined businesses found it difficult to lower wages so they had do institute lay-offs. Stop w/the Keynesian baloney! And learn something about economics! It ain't rocket science! This US depressions affected whole world some or more and also imbalanced economical status of many countries but at that time i took help of Epic Research and really helped me during that period. For all the high level explanations of 1929 and 2008/09, the one hard constant looks to me to have been an overly liberal credit policy creating paper millionaires in the '20's via stocks and again from the mid '90's until 2007 in real estate. In those situations, it wasn't a lack of hard currency, it was a massive imbalance between paper profits and real assets. That's why consumer confidence is such an important factor. And it's the driving factor behind why the U.S. is in such tremendous trouble regarding Social Security. Just like stock profits (valuations) in 1929 and real estate profits (valuations) by 2008, when it was exposed that AIG couldn't cover the profit insurance they had been selling, the banking system went into a tailspin. What do you think will happen when the checks written for SS no longer represent legal tender? A very scary thought. I don't know what all bathe fuss is about the cause was massive over leveraging, or better known as debt. This created massive debt deflation which was just kept at arms reach by Roosevelt until the Second World War broke the shackles. We are now in a similar situation but with low inflation and not deflation, but the level of private debt now post the crash is far greater than the Great Depression. October 24, 1929, witnessed panicked government leaders who passed the Smoot-Hawley tariff to protect their domestic industries and jobs. This resulted in a 25 percent fall in the total number of units. Though the U.S. economy felt the pains of the Great Depression six months before other economies, its actual impact was felt in October 1929 when the stock market prices collapsed in the New York Stock Exchange. Besides tarnishing thousands of individual investors, the Great Depression affected a lot many banks and other financial institutions as well. When was the Great Depression? What caused it?